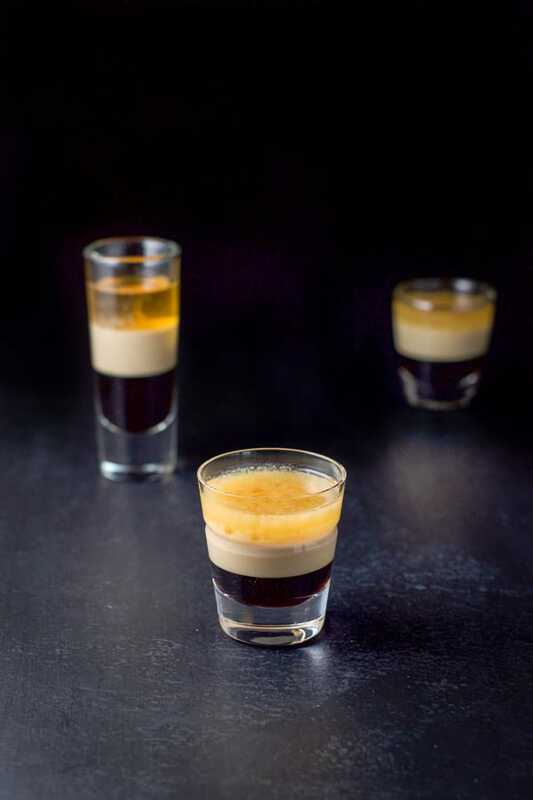 Like most layered shots, this B52 shot packs a punch. 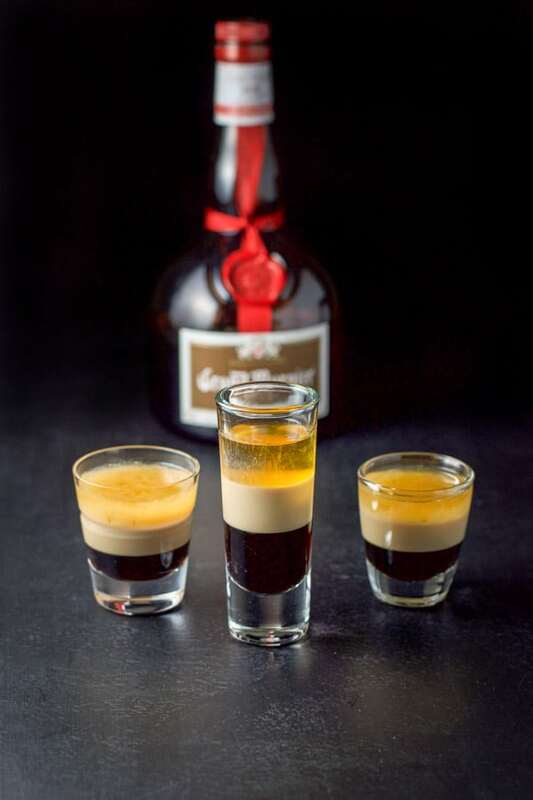 It is delicious and one of the most popular shots ordered in bars. 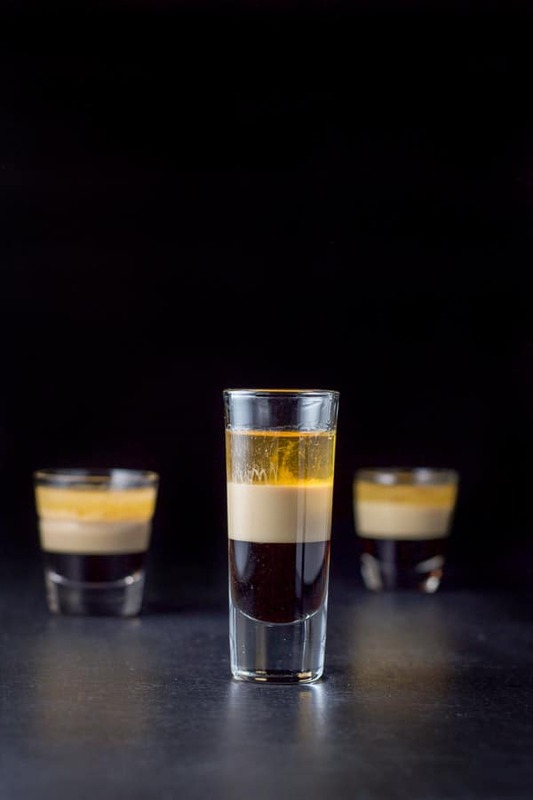 It’s the party-time B52 shot recipe! 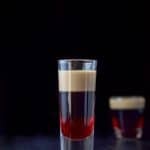 Now, I know other bartenders get the last layer to separate so you can see the line between all three liqueurs but this is one of those shots that gives me a hard time when delineating the layers. I finally did it with the tall glass, as you can see from the photo above. I squealed when I was able to do it correctly! When I tried it again with the shorter glasses, I wasn’t so lucky, as you can see from the cloudy top layers in the background. After my success, I grabbed my other tall thin shot glass and tried to replicate the results. Nope. 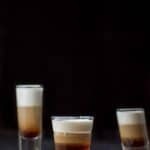 Not sure if the stars were aligned while I was pouring the tall shot above or what, because when I layer a shot, I do it the same way every time. So, I’m here to tell you, that it is okay if your layers get muddled the way you see in the shorter glasses because you are just going to down the whole thing anyway. Besides, life is full of imperfections and I’m all for reveling in them. This recipe is for one shot. Multiply the ingredients by how many you are making. Get out your shot glass, a pourer and a cocktail spoon for layering. 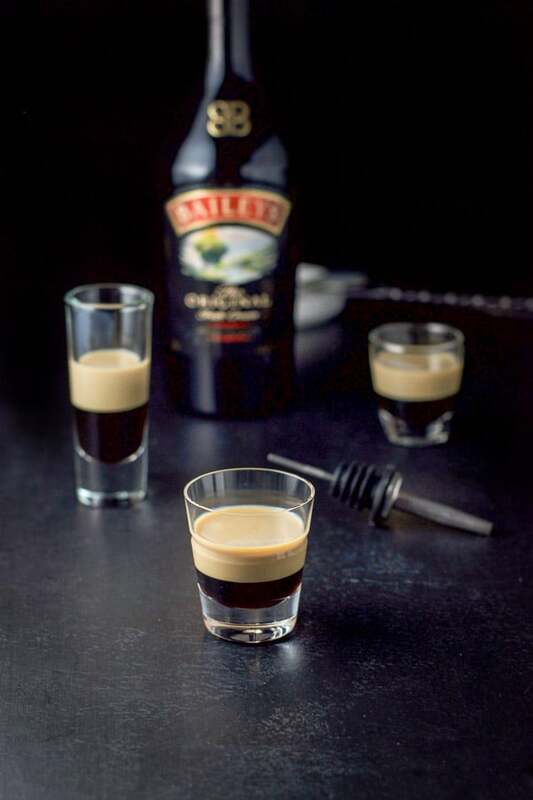 Gather the ingredients – Kahlúa, Baileys Irish cream and Grand Marnier. 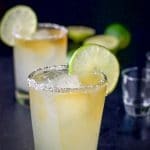 The trick to a layered cocktail is to start with the heaviest liqueur. 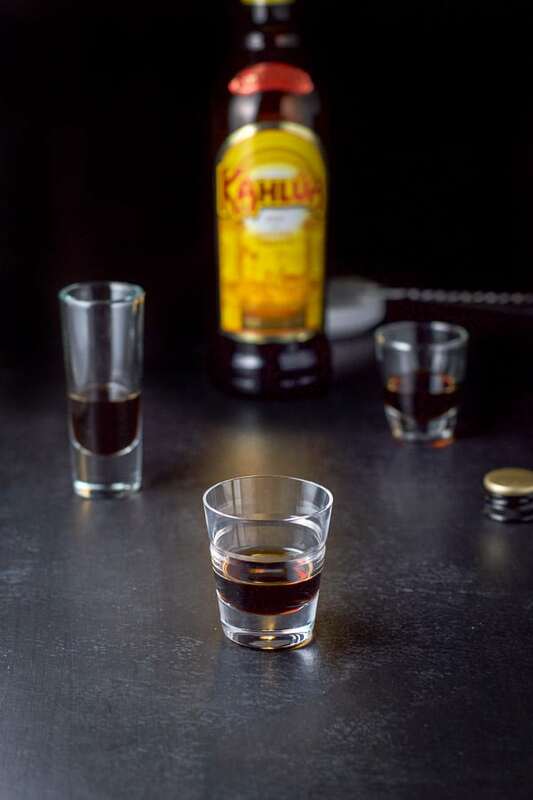 In this drink, the Kahlúa is the heaviest, so pour .50 ounce in the glass. It ends up being 1/3 of the way up the glass and is the only liqueur I measure since I’m using a pourer for the other two. 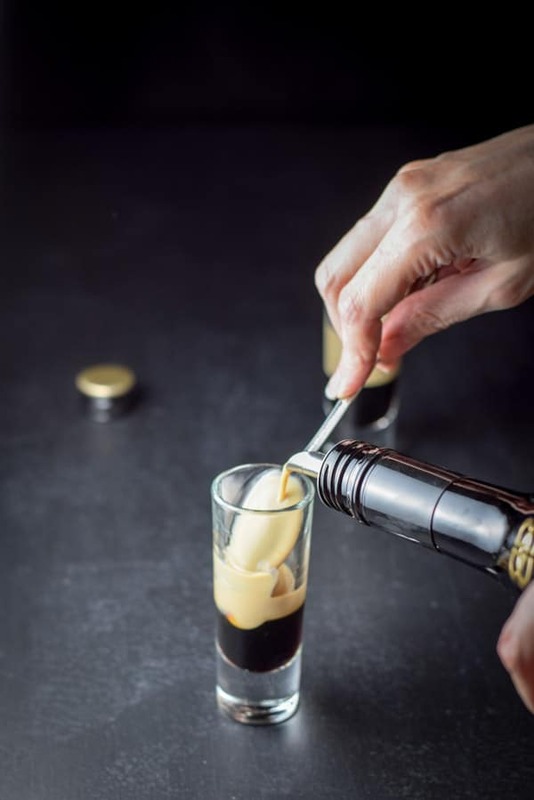 With a pourer in the Baileys Irish cream bottle. Place the spoon bowl side up in and against the side of the glass. Slowly pour the Baileys over the bowl and into the glass. Making sure you are another third of the way up the glass. The photo below gives you the idea. See? Using the spoon helps keep the layers separate! Again, place the spoon bowl side up in and against the side of the glass. 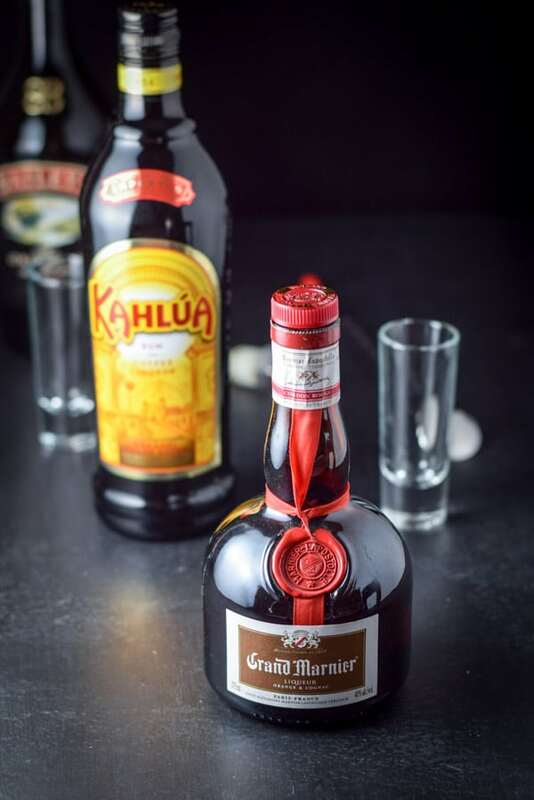 With a pourer in the bottle, slowly pour the Grand Marnier over the bowl and into the glass, another third of the way up. 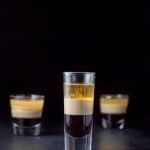 I hope you enjoyed this B52 shot recipe! It’s such a yummy drink and will get any party started. 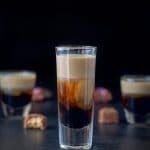 If you’ve tried this B52 Shot Recipe or any other recipe on the blog, I’d love the hear what you thought about it in the comments below. I love hearing from you! You can also FOLLOW ME on FACEBOOK, TWITTER, INSTAGRAM and PINTEREST to see more of my delicious food and delightful cocktails! 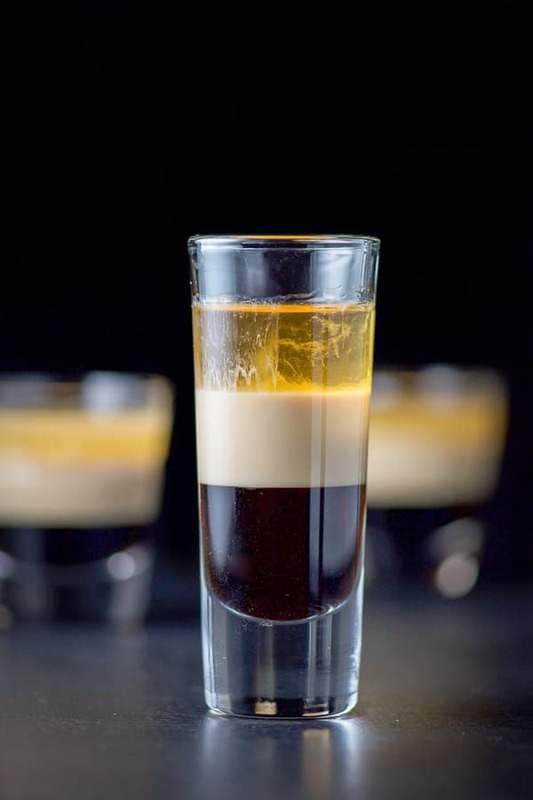 This colorful B52 shot is so delicious. It is hard to stop at 1. These bring back memories from my college days! I don’t know if I could handle them know, but at least I now know what was in them. Hehe. Reminds me of college too! Thank you for your comment Jacque! This post is such a fun read with the progression shots and I learned so much about how to get those beautiful layers! Thanks for sharing. You’re welcome. I love layered shots!! Thank you so much for your comment Tristin! I’m with you on that Lisa! Thank you! This shot looks like so much fun! Layers of creaminess and I’m sure it goes down very smooth. It does, Sharon! It does! 🙂 thank you! You always have such fun shots! This sounds tasty. 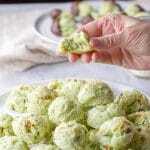 I’ll definitely have to serve these for our next party — St. Patrick’s Day would be perfect with the Bailey’s! Awww, thanks so much, Amanda and yes it would definitely go well at St. Patrick’s day!! One of my favorite cocktails of yours Lainey, you know how I like the creamy ones best! I’ve always wondered how these layers were made, thanks for your clear explanations, I’ll try my best and if I don’t succeed I’ll just down them the same lol!